I love an early morning flight, it means you arrive at your destination with an entire day of exploring ahead of you. However, I am not a morning person in the slightest and despite my 31 years of existence, I have yet to embrace the habit of waking up early feeling fresh. Fortunately for me I am willing to put myself through the discomfort of an early alarm if it means I get to jet off somewhere exciting. Nevertheless a 7am flight still fills me with a little dread so I've started to look for ways to make the experience of break of dawn travel a little easier. 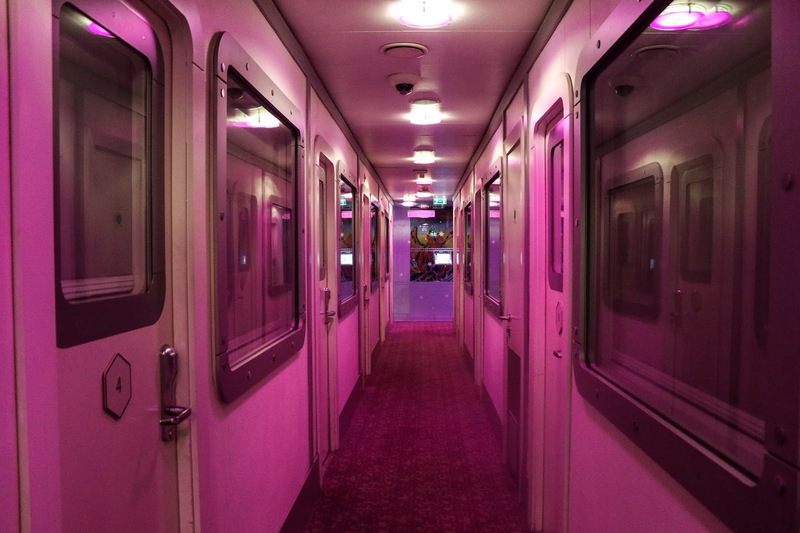 Say hello to airport hotels. 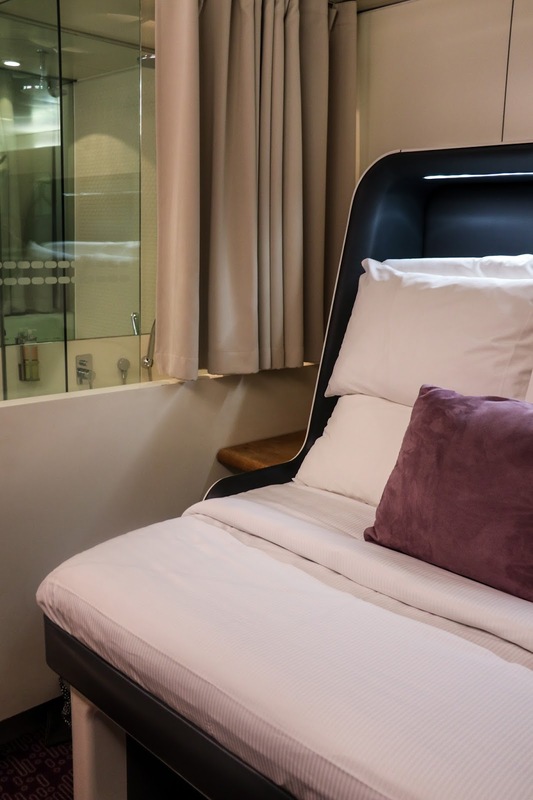 A recent trip to Zurich was coupled with a ridiculously early flight so I decided to book a room at YOTELAIR*, located in the South Terminal at London Gatwick to save myself some time in the morning. Being located around the corner from the check-in desks at the South Terminal, and the North Terminal shuttle station, we didn't need to leave our room until an hour before our flight took off. This made such a huge difference to our day as the extra couple of hours in bed meant we arrived in Switzerland feeling somewhat fresh, and ready for a long day of exploring. There are three types of rooms available in the hotel; a standard cabin for one, a premium cabin for two, and a premium cabin twin. We had a premium cabin for two where a big squishy upright sofa transformed into a very comfortable double bed at the press of a button. 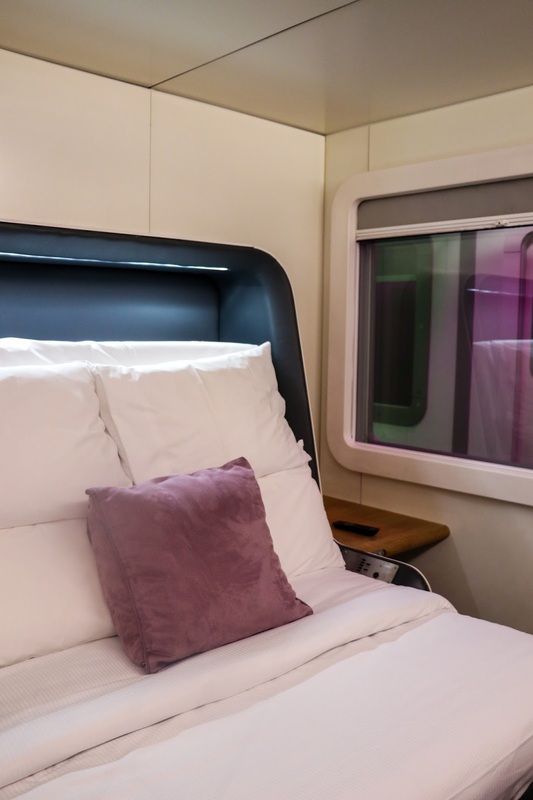 Modelled on the capsule hotels in Japan, the rooms are small, but when you're in them for only a few hours before a flight you don't really need much space. There's plenty of luggage storage next to, and under the bed, plus there's lots of cubby holes to hide things away like coats, and handbags. Once the bed is folded out there's still enough room to walk around in case you need to visit the bathroom in the middle of the night. And speaking of the bathroom, the monsoon style shower was powerful and hot, another key ingredient for an early start. All rooms come with aircon, wifi, a telly, and a fold out desk in case you need to get some work done. The reception even supplies complimentary tea, coffee, and bottled water throughout your stay. Our room was located at the end of a corridor which meant a quiet night's sleep as the foot traffic was minimal so if you're a light sleeper I'd definitely recommend requesting something similar. 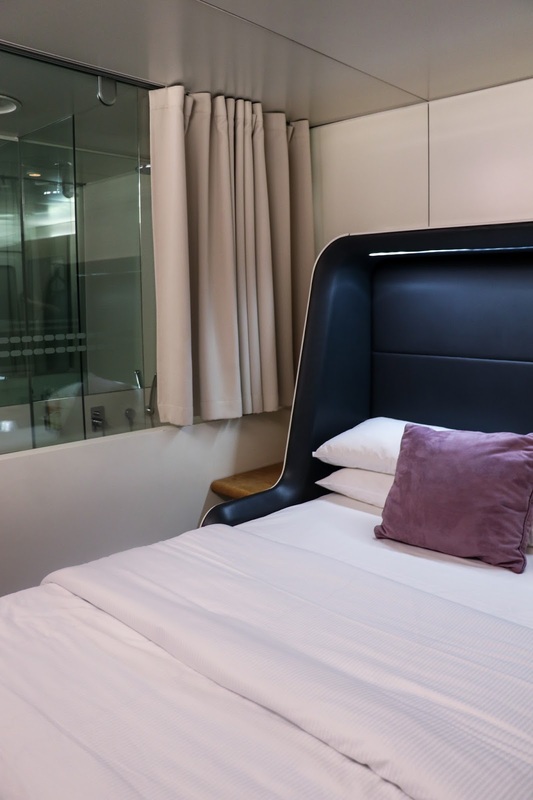 Our stay at YOTELAIR really did help make the first day of our holiday as stress free as possible and when you factor in the cost of the taxi we would have had to book, the hotel room only cost about £20 extra. 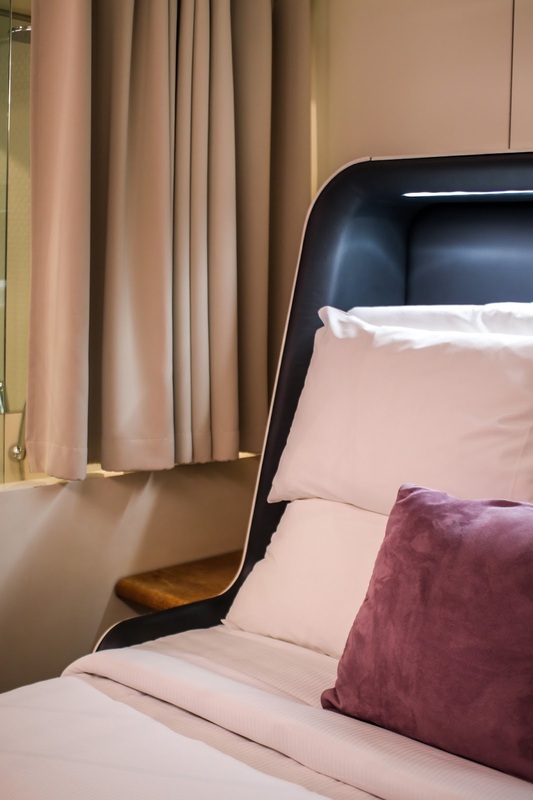 If you hate early mornings as much as I do, but you're a big fan of stupid o'clock flights, then I definitely recommend booking yourself a stay at YOTELAIR.